Join Joanne for her new cooking series, Joanne Weir's Plates & Places, now airing on public television stations nationwide and cook along with recipes from her award-winning cookbooks! Ready for more? Joanne also teaches hands-on cooking classes in her San Francisco, California, kitchen studio- the same one you see on TV! Or take a Culinary Journey with her through some of the most flavorful destinations in the world. From Tuscany to Provence, La Rioja to Venice, and Morocco to the islands of Greece, you'll learn from her vast knowledge of food and wine while enjoying luxurious accommodations. Each Culinary Journey is filled with cooking classes and visits to Joanne's favorite markets, artisans, and vineyards -- all designed for an unforgettable experience. Join me on a quest around the globe to find the key ingredient to create extraordinary dishes! Haven't you always dreamed of a cooking adventure in some exotic place? Join me on a International Culinary Journey and I promise you an experience you'll always remember. 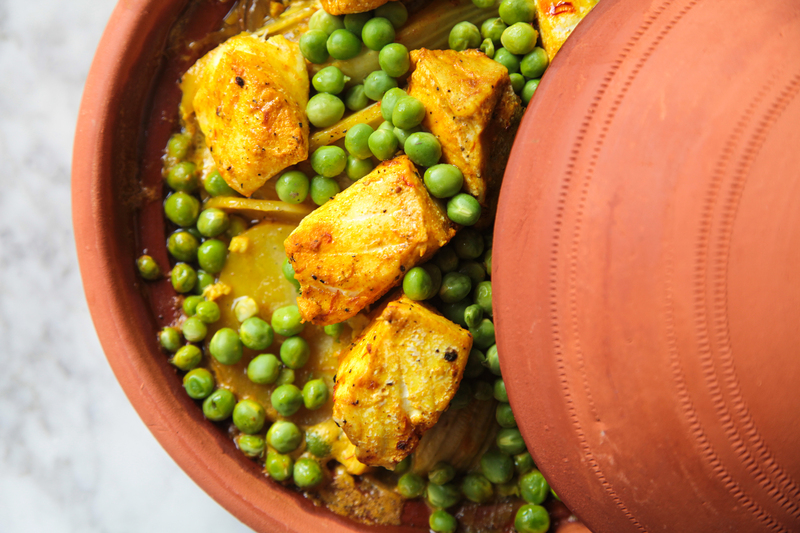 This Fish Tagine with Fennel and Peas and more recipes from the show are now available.